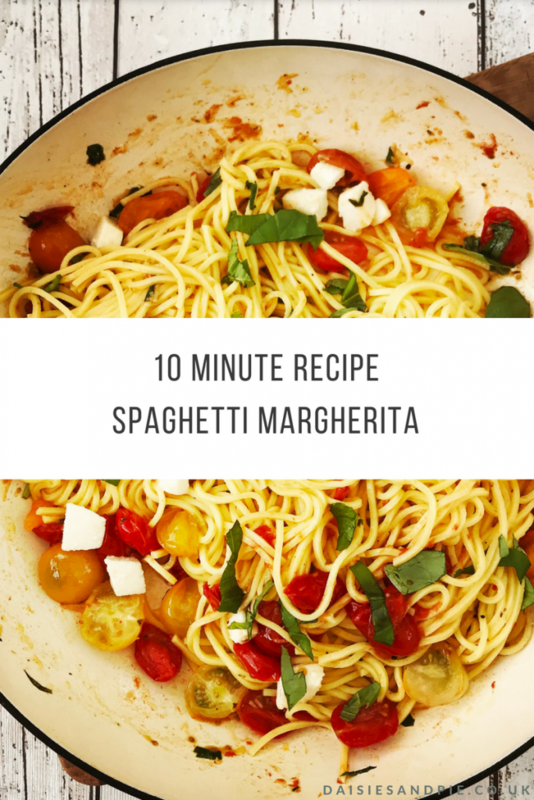 We just can’t get enough of this delicious, quick Spaghetti Margherita recipe, it’s just so quick to prepare, super quick to cook and is literally on the table in under 15 minutes, with just 10 minutes cooking time – which is just great for busy work nights. 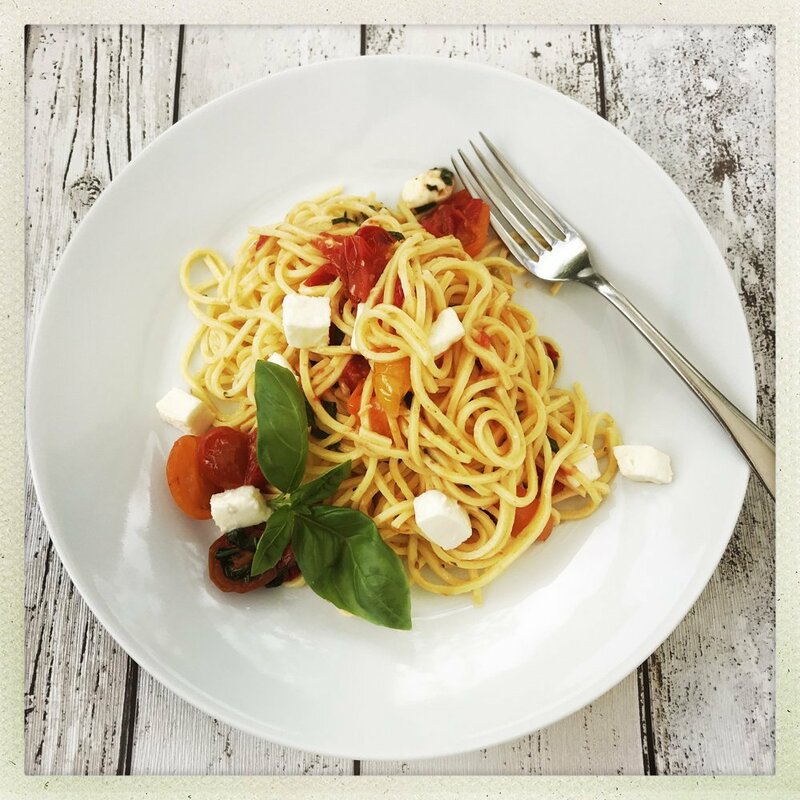 Just a simple tangle of fresh spaghetti, with baby plum tomatoes, mozzarella and herbs, effortless and super tasty. Add the spaghetti to boiling water with a pinch of sea salt and drizzle of olive oil - cook as per the packet instructions. Whilst the spaghetti cooks - add a generous splash of olive oil to a large frying pan, tip in the grated garlic, tomatoes and dried oregano, plus a pinch of sea salt and black pepper and just warm them over a medium heat for a few minutes - you just want them warm rather than squashy and cooked. Drain the spaghetti and tip into the pan with the tomatoes. 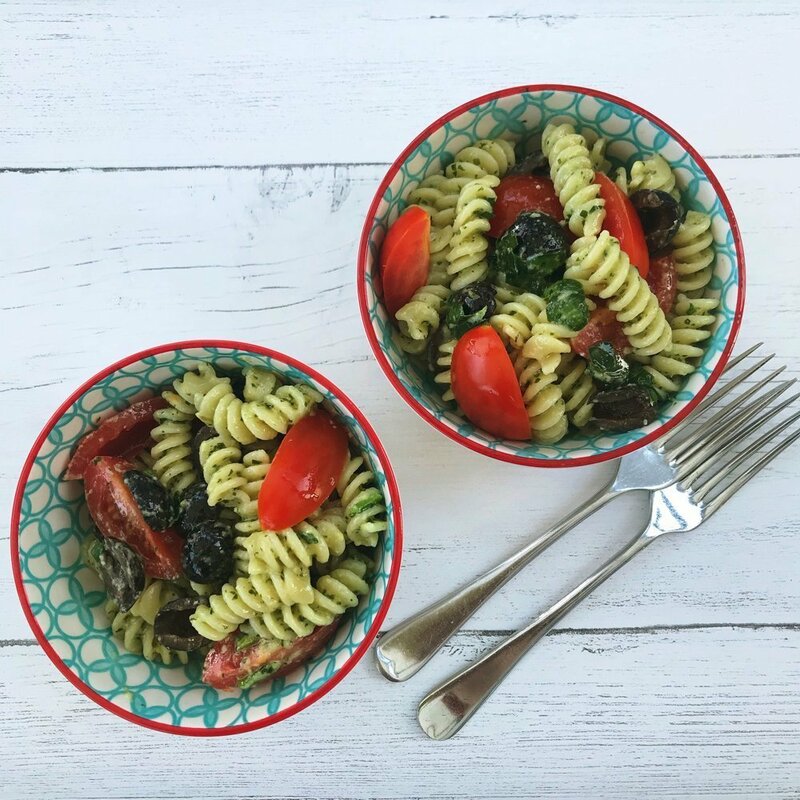 Toss in the chopped mozzarella and fresh basil leaves and gently toss everything together. Divide between the plates to serve. This sauce works really well with gnocchi in place of pasta. Add a little heat with a pinch of chilli flakes. Stir through some fresh rocket leaves. Leftovers taste great next day cold.